Location: Épône, in the Yvelines departement of France (Ile-de-France Region). 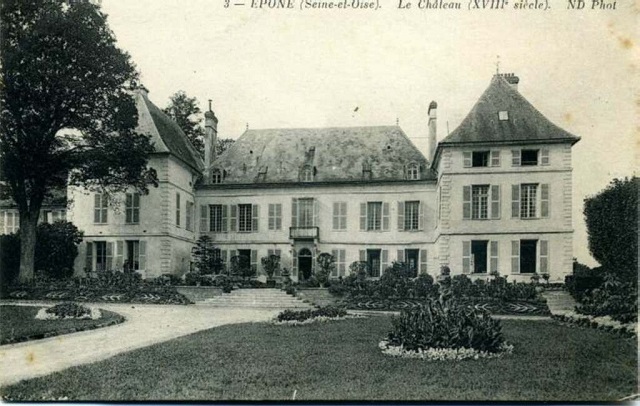 Notes: Château d'Épône is an ancient castle of the seventeenth century, destroyed in 1944 by the German army, which was the center of Épône in the Yvelines (France). It remains today as common, occupied by the municipal cultural center and park, open to the public. In this particular castle has lived Hérault Séchelles (1759-1794), the last Lord of Épône, who was MP for Seine-et-Oise at the National Convention and a member of the Committee of Public hello alongside Robespierre, and died guillotined in 1794.